Kampala (AFP) - A hospital technician has died of the Ebola-like Marburg virus in Kampala, the Ugandan government announced on Sunday. The man, aged 30, died in the Mengo hospital where he worked in the capital of the east African country on September 28, 11 days after falling ill, the authorities said. Tests confirmed the presence of the disease two days later. The Marburg virus is one of the most deadly known pathogens. Like Ebola, it causes severe bleeding, fever, vomiting and diarrhoea. The victim's brother and one other person he was in contact with have so far "developed signs" of the disease, the ministry of health said in a statement. "So far, a total of 80 people who got into contact with the initial confirmed case have been identified and isolated" for the 21-day incubation period, it added. "These include 38 health workers from Mengo hospital and 22 health workers from Mpigi Health Center IV." Like Ebola, the Marburg virus is transmitted via contact with bodily fluids and fatality rates range from 25 percent to 80 percent. 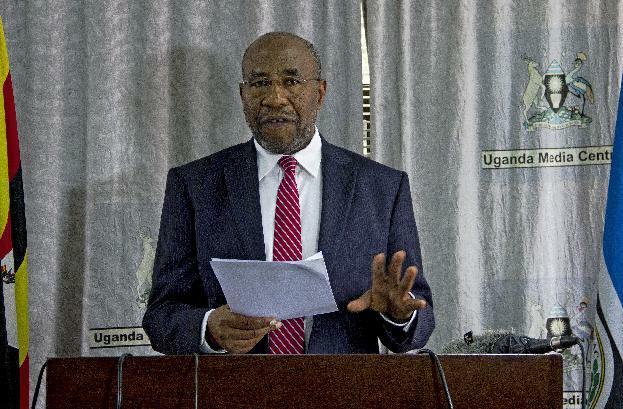 Uganda's Prime Minister Dr Ruhakana Rugunda said the government could deal with any outbreak. "Uganda has previously successfully handled similar situations of health threats involving hemorrhagic fevers," he wrote on Twitter. A Marburg outbreak in Uganda in October 2012 killed 10 people, about half of those who were confirmed infected with the disease. The Ebola epidemic that has been raging in west Africa has so far claimed almost 3,500 lives, with Liberia, Guinea and Sierra Leone worst hit. Researchers announced in August that a drug developed by Canada's Tekmira Pharmaceuticals helped monkeys survive the deadly Marburg infection in tests.